Want to learn how to sell books for some quick, easy cash? Of course, you do! Learning how to sell books is easy and straightforward, anyone can do it! Keep reading to see our 5 step process on how to sell your books online at the click of a button. Find the book or books you want to sell and make sure they have an ISBN number. An ISBN number is the 10 or 13 digits serial number for your book, they usually start with 978 and are located just above the book’s barcode or within the first couple of pages. Here’s an added tip, if you’re entering multiple ISBN numbers add a comma ( , ) at the end of each ISBN number to search multiple books at the same time! Add only the books you want to sell to your BuyBack basket by clicking the “Add To Basket” button. At this point you may be asked to log in or create a quick account if you haven’t already made one. It takes less than 10 seconds, depending on how fast you can type. Just enter the following details to create your account. After you’ve finished adding all the books you want to sell you can proceed to the checkout step. This is where you will choose your preferred payment method by either cheque or PayPal. If you’ve chosen cheque as your preferred payment method we will send the cheque to the address listed on your account. Now, you’re basically done! All you need to do is Submit Your BuyBack and pack up your books. Don’t worry about shipping costs tho, we email you a free Collect+ shipping label so you can send your books to us post free! Find more information on how to send and package your books with our packaging guidelines. Unlock 10% extra cash with Youth Discount at Fatbrain. All you need to do is verify you’re a student or 16 to 26 years old with Youth Discount®, it’s totally free and easy. Use the Voucher code at checkout to enjoy 10% Extra Cash when selling your books! You can also download our free Fatbrain App on the App Store or Google Play. 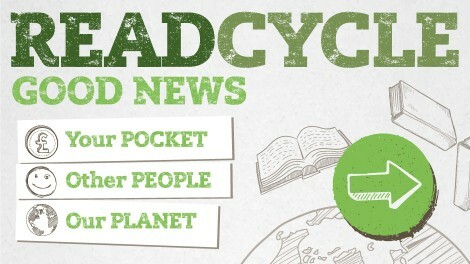 See how you and Fatbrain can convert unwanted books into good news.. for you POCKETS, other PEOPLE and our PLANET. 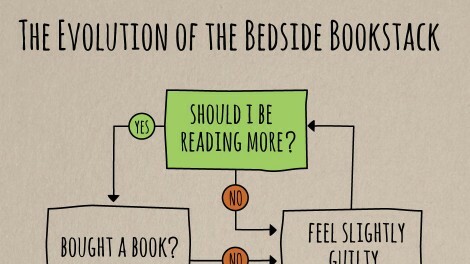 We’ve uncovered the fundamental process behind that niggling phenomena every reader’s faced since the dawn of time. 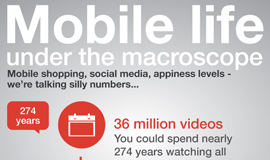 We’re all living the iLife. Our online, mobile, app-powered digiverse is amazing. And it’s MASSIVE. Just how massive is almost impossible to get your head around, but we’ve had a go. Check out the latest Fatbrain thinkographic. 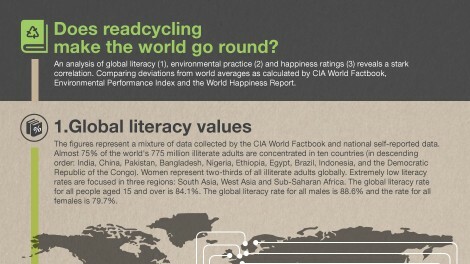 Does readcycling make the world go round?